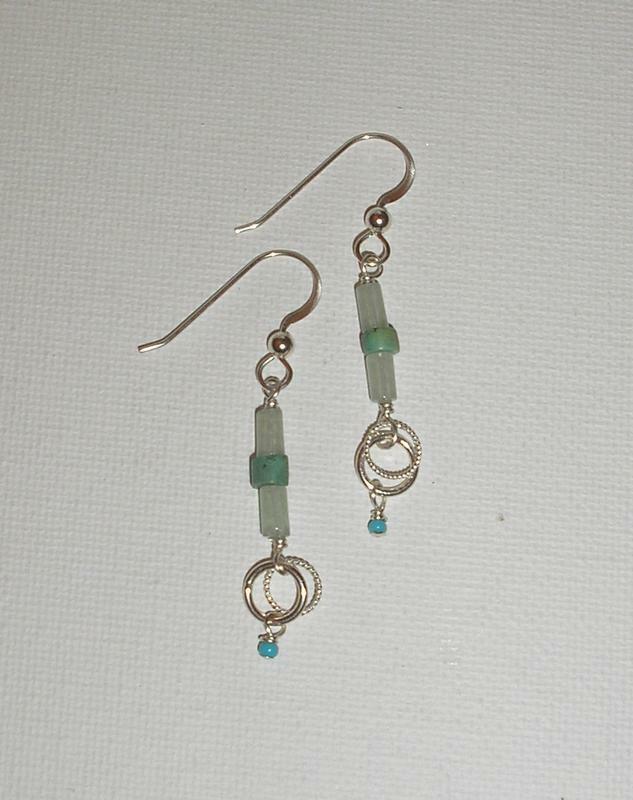 These turquoise tube earrings are fun to wear, and best of all, they are not too hard to make. This design features pale green aventurine beads and blue green turquoise heishi beads, and for added interest I have attached two different types of rings to the bottom, with one tiny dancing turquoise seed bead. 4 tube beads of choice in any size and color. I used green aventurine, but any beads will do. 2 seed beads. I used blue turquoise glass seed beads. Length of sterling silver half hard wire (24 gauge). Slide each seed bead onto a headpin, and make a closed wire loop at the top, fastening the bead to the bottom of one of your jump rings. If you need help learning to make a loop, follow these instructions. 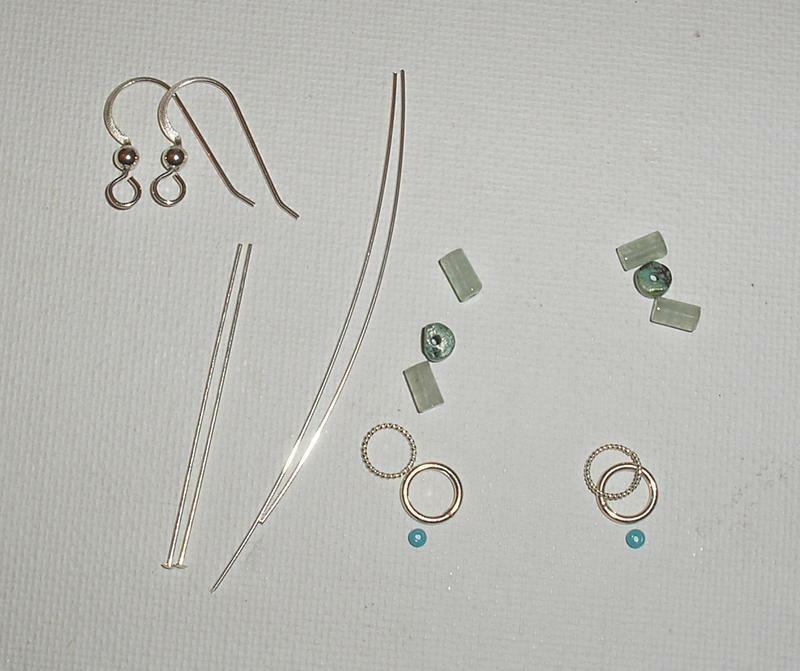 Now we need to wire wrap the jump rings with a closed loop at the top and form the bottom of our earring. Cut several inches of sterling silver wire. Make a round loop with your pliers, and attach this to both jump rings. Close the loop, leaving a stem of wire at the top. 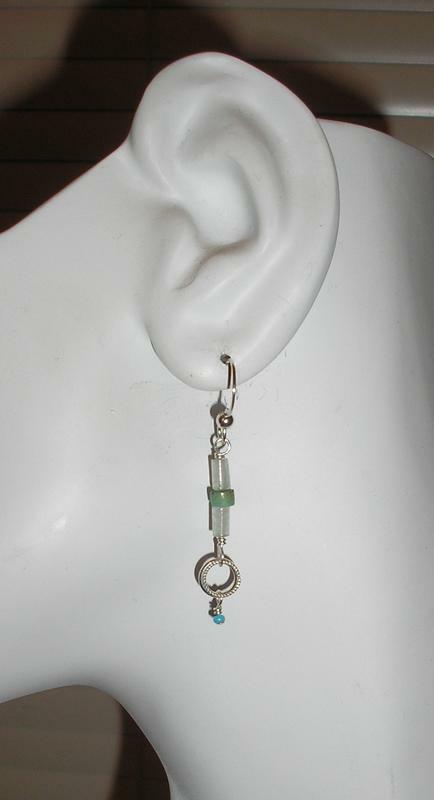 Attach the tube and heishi beads to the top of the earring, and attach it to your earring component. 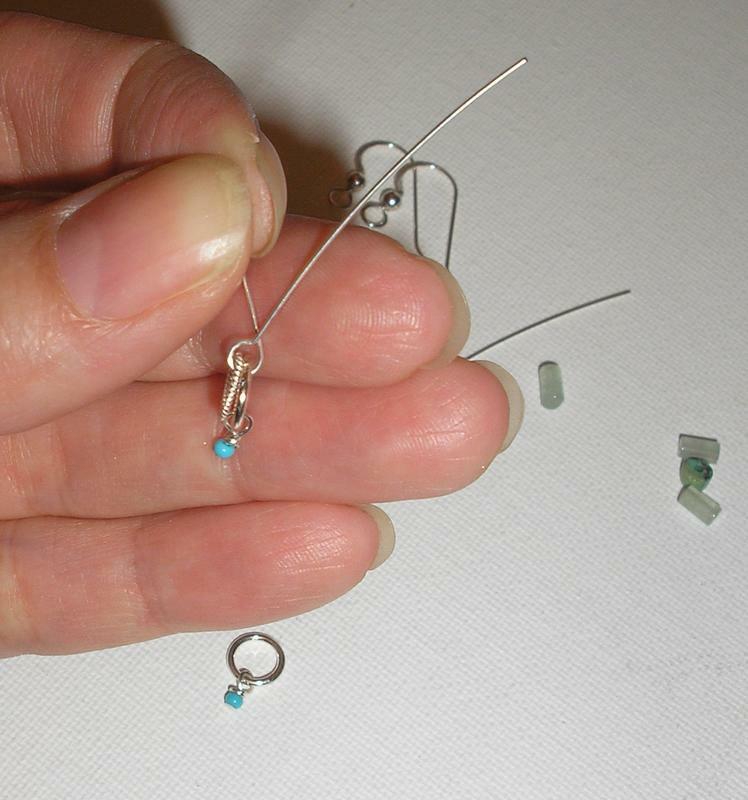 Slide one tube bead, one hieshi bead, and one tube bead onto the stem of wire at the top of your earring. Make a wire loop, and attach the earring to the bottom of your earring component, then close the loop. Repeat for the second earrring. If you need help learning to make a loop, follow these instructions. That's it! Your fun new turquoise tube earrings earrings are ready to wear!